This is a really difficult book to review because it is unique; the cover might look soft and fuzzy but the content is complex, at times brutal and always interesting. It is a mash up of genres- time travel, romance and a family orientated, murder mystery with a serious feminist bent that uses the framework of time travel to reflect on issues relating to power, control, bullying, hazing, racism, workplace harassment, mental health, the justice system and sexual equality (my list is not exhaustive). The characters are all very strong, intelligent, talented, resourceful women. It is so unusual to find a narrative where intelligent women in control of their own futures, shape and dictate the narrative; this is feminism that doesn’t preach its message, it doesn’t “tell” just “shows” without anger or recriminations; it just “is”. And in doing so, is such a refreshing read. Bravo! A wrenching, gripping, unforgettable debut crime novel for fans of Susie Steiner and Kate Atkinson. 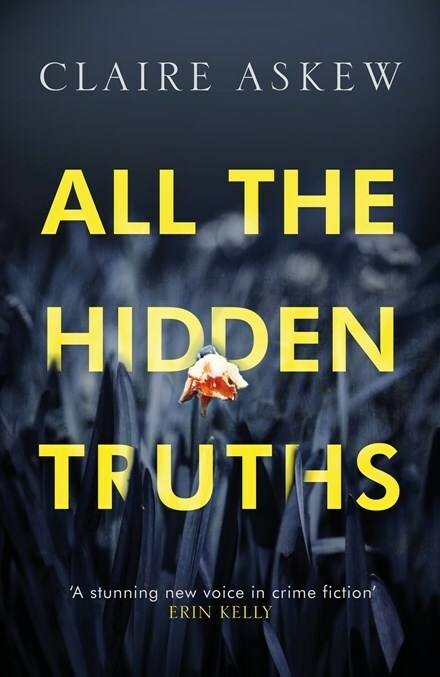 A stunningly moving novel from an exciting new voice in crime, ALL THE HIDDEN TRUTHS will cause you to question your assumptions about the people you love, and reconsider how the world reacts to tragedy. This book has All the Feels! Intrigue, mystery, loss, grief, despair, resilience…love. This really is an exploration of what it is to be human when faced with a gut wrenching tragedy. The spotlight is focussed firmly on the reactions and the responses that reflect the best and the worst in those close to the situation. Despite knowing the who done it from the back cover synopsis and the opening chapters, the sense of urgency and the tensions ricochet off the pages. There are characters you will love and those who you will despise; you will recognise some of the traits of the characters portrayed here in people you know. Your gut will be tied in knots as you react to the tensions and the mystery that is explored on the pages. Tension, tension, tension – what a wonderful wordsmith Claire Askew is to have created such a powerful narrative. A complex situation is explored in great depth from many perspectives except that of the murderer, which allows you to form your own conclusion about the why of this crime. I loved the clever, surprising and heart-warming conclusion. This is an author to watch out for. Welcome to the Kookaburra Creek Cafe. For Hattie, the cafe has been her refuge for the last fifty years – her second chance at a happy ending after her dreams of being a star were shattered. But will the ghosts of her past succeed in destroying everything she’s worked so hard to build? For Alice, the cafe is her livelihood. After Hattie took her in as a teenager, Alice has slowly forged a quiet life as the cafe’s manager (and chief cupcake baker). But with so many tragedies behind her, is it too late for Alice’s story to have a happy ending? For Becca, a teenager in trouble, the cafe could be the new start she yearns for. That is, if she can be persuaded to stop running from her secrets. Can Becca find a way to believe in the kindness of strangers, and accept that this small town could be the place where she finally belongs? Alice and Louise had been best friends from the age of eleven. Alice was happy when she was with Louise, and she went to school to get away from her home. When tragedy struck, Alice drove away in the old beat up car that was her Dad’s – just drove until she could go no further. She was tired, hungry and grieving when Hattie found her and took her under her wing; Alice was sure she wouldn’t stay. But gradually Hattie, the Kookaburra Creek Café, and the community became home to her. And Alice discovered she could bake cupcakes – the best cupcakes in town. Hattie had had a similar experience fifty years prior and Kookaburra Creek had been her saviour. Now Hattie knew Alice needed a second chance, just as she had. Gently and with care, Alice blossomed. But could Alice retain her peace and happiness? And when a frightened young teenager turned up on the Café’s doorstep, Alice felt the past come back. Was Becca’s arrival a coincidence? Alice could see Becca was fragile and held many secrets close to her chest. 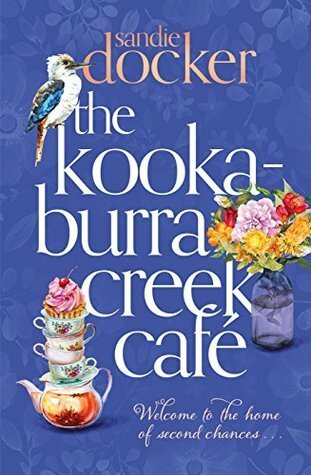 Would Kookaburra Creek and the café give Becca the chance she needed? The Kookaburra Creek Café is the debut novel by Aussie author Sandie Docker, and wow! What an excellent first novel! Initially, I was drawn to the cover – absolutely love it. Then the story drew me in and captivated me. Hattie, Alice and Becca’s stories are told gradually, with an easy to follow back-and-forth narration which set the tone of the book. Three wonderful characters in Hattie, Alice and Becca, and many excellent side characters make The Kookaburra Creek Café everything I wanted and more. Well done on an excellent debut Ms Docker! Highly recommended – 5 stars. With thanks to Penguin Random House for my ARC to read and review. Brenda is very impressed with this debut novel. Living a quiet and secluded life in the small bay not far from Melbourne in Victoria, just Daniel, Rafi (their little dog) and Elena, she knew this was the life she wanted. Daniel was a different child, and Elena loved him in the devoted manner of any mother anywhere. Daniel was doing well at school – they explored the beautiful surrounding bush in their leisure time; and soccer brought Daniel joy. But with a terrifying suddenness, everything changed. Violence erupted around Elena and Daniel – the danger was crippling. What would Elena do? She knew she needed to do everything in her power to keep her son safe; but what…? 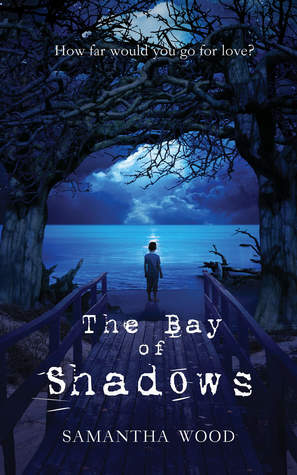 The Bay of Shadows is the debut novel by Aussie author Samantha Wood and in my opinion it’s exceptional! A gripping and intense plot with a fast pace and riveting emotions – The Bay of Shadows has everything I love in a psychological thriller (even a touch of the Dreamtime). 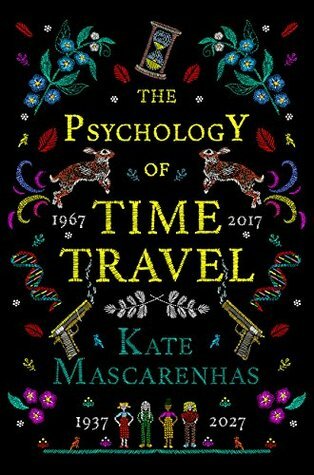 I have no hesitation in recommending this novel highly, and will be eagerly watching for this author’s next book 🙂 I also love the cover! 5 stars! Samantha Wood is a fiction author drawn to mysteries, stories of the Dreamtime, and magic realism. Her first book, Culua: My Other Life in Mexico, was a love letter to Mexico, her mother’s country. The Bay of Shadows is her first novel. Louise Redmond left Ireland for London before she was twenty. Now, more than two decades later, her heart already breaking from a failing marriage, she is summoned home. Her mother is on her deathbed, and it is Louise’s last chance to learn the whereabouts of a father she never knew. Stubborn to the end, Marjorie refuses to fill in the pieces of her daughter’s fragmented past. Then Louise unexpectedly finds a lead. A man called David Prescott . . . but is he really the father she’s been trying to find? And who is the mysterious little girl who appears so often in her dreams? As each new piece of the puzzle leads to another question, Louise begins to suspect that the memories she most treasures could be a delicate web of lies. This was a very intense mystery that speaks to the themes of motherhood, family, memory, loss and grief. So many secrets and lies… so much sadness. The author slowly reveals clues or bits of information or red herrings that have you plotting and planning and trying to solve the mystery, I doubt that you will or at least not till the very end. The author has excelled in drawing the reader into the world of her characters. The opening pages are full of mystery and the images in these pages repeat themselves throughout the novel building the anticipation and expectation of a resolution of the mystery. As you read you will find yourself sighing with sadness at the many disappointments, revelations and lies that fill these lives and pages. Life has thrown many challenges in the path of the main characters, good choices have not always been made, and lives can be changed in an instant. You are transported back into the time and places (Ireland 1960’s) when religion and fear dictated women’s choices regarding their sexuality and fertility. The settings, the social structure of society are clear and visual, the characters and their relationships are realistic but always there is a hint of the unreliable narrator that throws questions and misdirection’s in your path. A heartbreaking but enjoyable family drama and mystery. A great debut novel. For eight years Lexie Rogers has been a uniform cop in Sydney’s red light district, Kings Cross. Having survived a violent knife attack, she’s witnessed far more than most cops her age. Now she’s back at work as the newest member of the Bondi Junction detectives’ office and ready to start again. One of her first jobs is to execute a search warrant at a bikie clubhouse, one of the two local gangs in the eastern suburbs. What she uncovers begins a chilling investigation into a vicious world where loyalty is deadly and unwavering and can’t be bought . . . Or can it? For the lovers of the police procedural. An outstanding debut novel and a wonderful police procedural with enduring and empathetic characters, what more could you ask for? 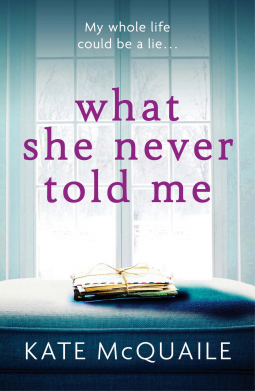 Karen M Davis has managed to capture the essence of a great crime read; a great narrative, a surprising ending, plenty of drama and suspense, an authentic voice and settings that are realistic. I really enjoyed this read and liked the main characters; the camaraderie and rapport between the police officers at the station felt natural, the good guys had their flaws but this just added to their credibility and the bad guys were where you least hoped to find them, hidden in plain sight. A most enjoyable read that I hope if the first of many from this author. I look forward to Ms Davis’s next offering with anticipation.